Here are 33 of the more than 35 gorgeous towns on the coast that the course goes through. Each have hidden gems throughout. Here are some images from the course that you may see along the way. Leg 1, 2, 4, and 5 get to run through the beautiful town of Bar Harbor. Bar Harbor is known for its great views of the rocky Maine coast. If you get a chance, before the race starts do some exploring of the area. Legs 2, 3, and 4 will go through Mt. Desert which is like Bar Harbor’s step sibling, because it is just as beautiful but doesn’t have the reputation Bar Harbor has. There is a TA right where this picture was taken on Seal Harbor. Both legs 2 and 3 get to run this gorgeous area. Leg 7, 8, and 9 get to run through Ellsworth where leg 8 will run along Union River and Leonard Lake. Leg 9, 10, and 11 will run through Surry. The Leg 9 runner will get glimpses of Union River Bay. Legs 12 and 13 will be running through this small bustling town. Towards the end of leg 12 you will get great views of the Eastern Channel before turning inland more to hand off the slap bracelet. Leg 13 runs onto the bridge that separates the Penobscot River from the Eastern Channel. Leg 13 gets to conquer this island on their own. They also get to cross the Penobscot Narrows Bridge, pictured here. Leg 13 and 14 run through this town. 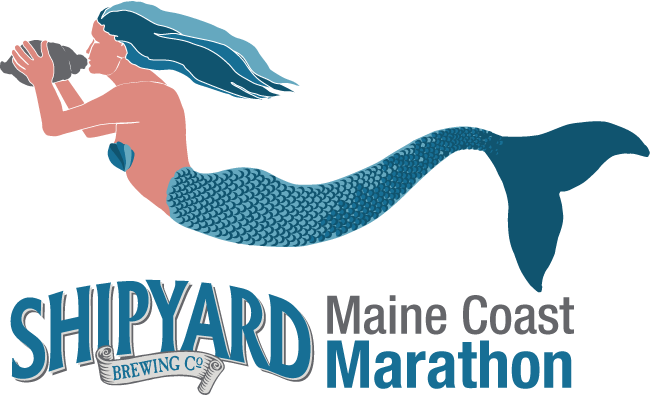 Leg 14 will get a nice reminder that they have been running along the coast of Maine when they get a glimpse of Long Cove just after their 3rd mile. Leg 14 and 15 will be the ones to see Searsport. Leg 14 gets a small glimpse of Searsport Harbor if they look left at the end of their leg. Unfortunately for leg 15 this area is heavily wooded and there are not to many views of the coast. Lucky for legs 15 and 16 they get to run through Belfast, which is truly a wonderful area. Leg 15 gets to run over Belfast’s footbridge which crosses over the Passagassawakeag River. Try saying that 5 times fast! Leg 16 loses sight of the ocean for a little while, but about half way through your second mile you will cross over Little River and looking to your left you will see Belfast Bay. Here is a picture of Heritage Park, which is TA 15, at night. Leg 16 and 17 will be running through this town. For some it may be dark, but for others you still might be lucky enough to get a view of this town. These two legs are mostly surrounded by woods. Leg 17 will end right on the Lincolnville Beach and Leg 18 will start here. The runner of leg 17 has a great view of Haddock Ledge at about their 7 and a half mile. The Leg 18 runner is very lucky to be able to run through this gorgeous town. Camden is one of the most beautiful hidden gems in Maine. You will be running through Camden Hills State Park and see views of where Megunticook River merges into West Penobscot Bay. Leg 19 gets to run a little bit in Rockland, but Leg 20 gets the bulk of it. As you run past Lermond Cove look for the Rockland Breakwater! Leg 20 and 21 may be a night run for everyone, but we hope that you can see a little bit of Thomaston’s old town charm. Leg 24 and 25 run through here, but Leg 25 gets the best views. Take in the beautiful views Leg 25 runner as you cross the bridge over Damariscotta River and into the town of Newcastle. Leg 25 and 26 get to run right along the Sheepscot River. The Leg 25 runner passes off the slap bracelet on the point of the river and Leg 26 starts their run with really great views like this one! Leg 27 and 28 run through this town and get two completely different views. The Leg 27 runner gets to run across the bridge from Woolwich over the Kennebec River and end their run shortly after. Leg 28 gets to see the residencial areas of Bath. They have beautiful parks, so make sure to look around while running, Bath is a gorgeous place. Many member of your team will get to see Brunswick as Legs 28, 29, 30, and 31 will be going through this town. Leg 29 gets to run on the Androscoggin River Bike Path, which is between the Androscoggin River and Route 1. Once, the slap bracelet gets passed off to the Leg 30 runner they will get glimpses of the Androscoggin as they start their run. The Leg 31 runner runs right along Wharton Point and gets to see the secluded side of Brunswick. Legs 31, 32, and 33 run in Freeport. Leg 32 ends at L.L. Bean and Leg 33 starts here. L.L. Bean is one of the biggest staples of Maine. Everyone loves Beans! Finally, the last leg, Leg 36. This person will be running to finish and enjoy Portland. Portland offers so many different opportunities for people to explore, so make sure when you finish the race you do some exploring!